Happiness ~ May I Have This Dance? 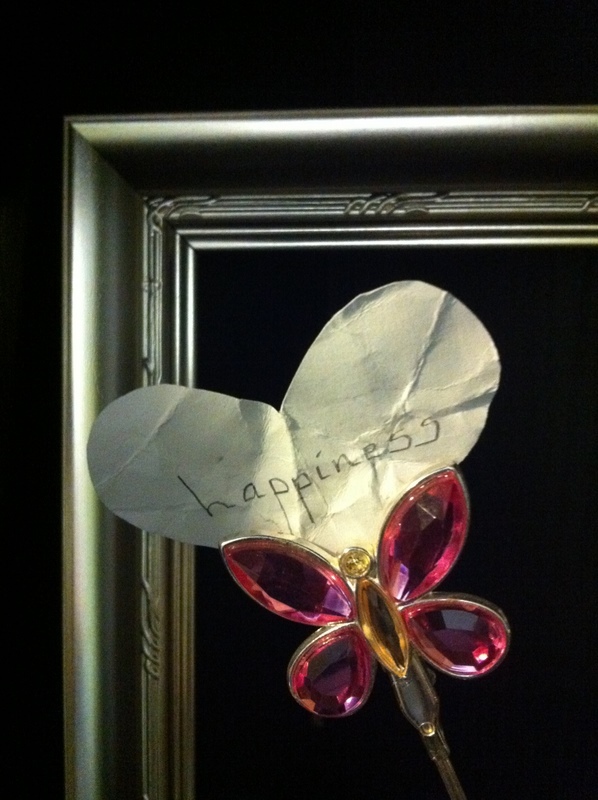 I’ve been thinking about “happiness.” What is it really? Where might I find it? It seems to escape me, especially lately. Interestingly enough it found me just the other night! I was in the kitchen with Bill and unintentionally began to notice several sights and sounds…Kim smiling and laughing in the presence of her new boyfriend and Paul chuckling with Marissa as she sat at the table playing with her snack. At two and a half years old she is quite the comedian! She had two Puffy Cheetos sticking out of her mouth as she grinned from ear to ear! She giggled as the Cheetos twisted between her teeth, flipped up and tickled her nose. Her little face and fingers turned an orange tint the more she played with her food. The dog could be seen running around the dining room with her nose gliding across the floor as she sniffed out any dropped and forgotten morsels of food. And even though Katlin was at work she was in my thoughts at that very moment. The radio could be heard playing in the distance. Hit after hit played like Adele’s “Set Fire to the Rain” and David Guetta’s “Without You.” All the while Bill was busy making pizza…and I? Well…I started to dance! I encouraged Bill to dance by gently grasping his hand and pulling him near to me. He turned and looked at me with a smile that I hadn’t seen in along time. The kids looked at us with surprise and beamed. Kim actually peeked out from behind her friends shoulder and asked, “Mom? Are you okay?” Then we all burst out laughing.